Loved the ideas I got from it and the speaker was excellent! Love, love, loved it! I am so excited to encourage dance movement therapy in our community and Donna's passion and expertise enabled me to go home well armed to advocate for this valuable service. She’s amazing! Please have her back! "It was the best most applicable and meaningful workshop I've been to in years! The presenter was just fabulous! Very inspiring and useful!" "Phenomenal! I learned a lot!" "Reinforced my beliefs and training while providing new ideas and strategies." "I will bring this joy back to my program;." 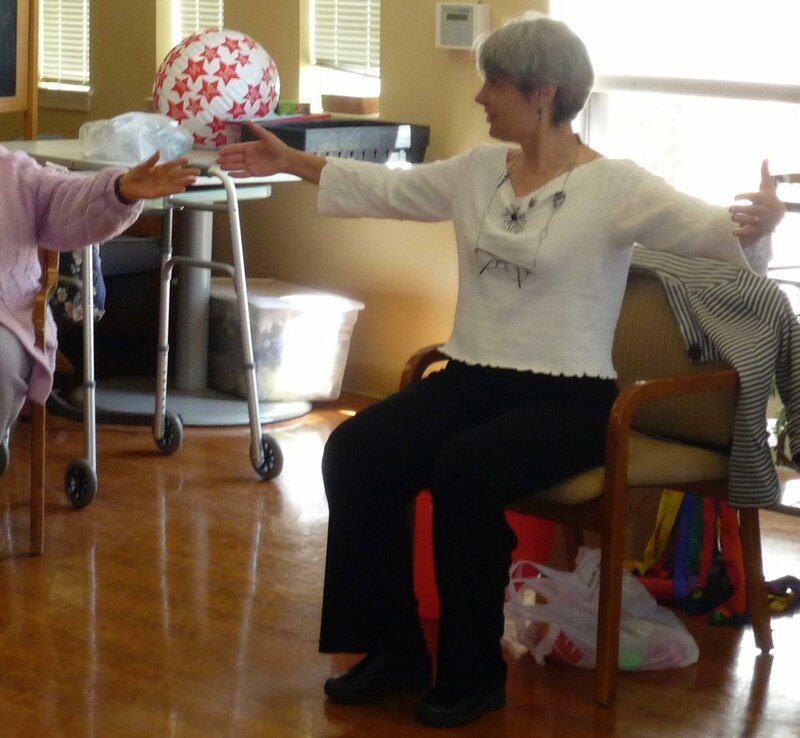 "I felt wonderful afterwards and can’t wait to share with staff and residents." " I’m leaving with a sense that I can lead a group and be successful." "Donna's genuine “I-Thou” position was expressed in everything she did throughout the course: verbal; nonverbal, with our class and with the movement group of elders. Watching her work is reminiscent of watching Trudi Schoop because of her deep respect for each individual and her spontaneity."